At Artnovion we are driven by passion. Passion for acoustics, passion for performance and our eternal passion is to provide an amazing customer experience. With a talented team, we work hard to push the boundaries of acoustic engineering to create a unique collection of trendsetting & high performance products. We’re not big, nor are we that small. Just a group of obsessive audio experts—including some of the best engineers on the planet—making audio tools for people who love amazing sound, no matter if that love is new or longstanding. We believe passionately that great sound can elevate your mood, induce happiness and leave you smiling without even knowing why; can make you feel alive and appreciate each and every moment. Give us a listen. It could change your outlook—and your life. AVPro Edge specializes in full bandwidth audio/video distribution, working alongside HDMI, HDBaseT and HDCP, we pride ourselves on developing uniquely engineered solutions for today’s integrator. 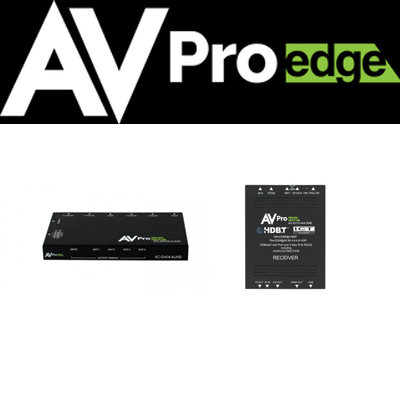 From 18Gbps matrix switchers and extension products to audio down-mixers and scalers, AVPro Edge’s product line-up is diverse and each solution is designed to exploit every capability of the chip set inside. We do not believe in throttling features but providing integrators with cutting edge, affordable solutions. 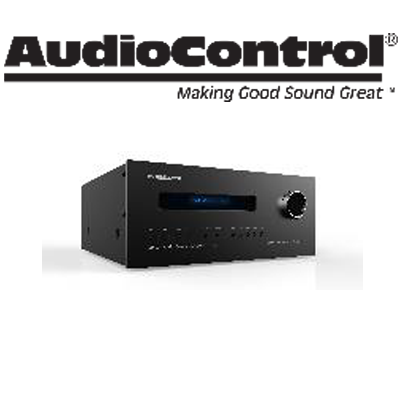 Built-in features like scaling, test patterns, audio de-embedding, and down-mixing set AVPro Edge apart from the competition. Origin Acoustics is firmly committed to putting the customer first. It’s not enough for us to produce some of the finest speakers ever made. We want to be your partner and friend. We offer a lifetime warranty on all of our speakers with hassle-free returns. Whether you are a listener or an installer, we will always deliver service above the bar.Each product, every process, at Origin Acoustics has its roots in a Riverside, California hi-fi shop. From the meticulous obsession with perfection to the love of great sound, we've led the industry with innovation and experience since the beginning. We have always been, and always will be about experiences—by creating unique products to separate you from the noise, simplifying your life, and together building a non-traditional family in an industry that has been stagnant for years. Our passion for experiences, however, does not end with the absolute best, most unique, and innovative screens in the galaxy, but by also partnering our dealers with a forward thinking company that actually cares. We are not just in the business of revolutionary product development, we’re in the business of revolutionary partner development. Wolf Cinema is committed to providing the highest quality reference projectors for the discerning enthusiast. We specialize in studio quality displays that can reproduce the image as the cinematographer intended you to see it. Our solutions are not only reference imagers, but designed to meet the demands of custom installation, systems integration, control, flexibility and longevity. Our mission is to make our customer's lives more simple and secure by offering unprecedented visibility and control over their front door. Our products, services, and partnerships deliver smarter home access that keep the bad guys out and let the good guys in. Your smart home starts at the front door. Control and monitor your home from anywhere with August Smart Locks and Doorbell Cam! Founded in 1956, Comelit Group SPA is an industrial company operating on a worldwide scale and specialising in the design and manufacture of video entry, video surveillance, anti-intrusion, home automation, access control and fire protection systems. The company has a strong international vocation thanks to its close ties with the area in which it was created and in which its headquarters are still located today (Val Seriana, to be precise). George Risk Industries designs and manufactures magnetic reed switches as well as keyboards, keypads, pushbutton and keyboard switches, proximity sensors and engraved keycaps. Our products are sold through a network distributors worldwide. Louroe Electronics™ is the world leader in the audio security industry, providing first-class audio monitoring and safety solutions that assist in protecting people and property. The company is committed to raising awareness of the importance of audio in the security industry. Product durability, customer satisfaction, and 35 years of audio expertise comprise Louroe’s core strengths. Another fact that distinguishes Louroe from other companies in the industry is that all products are “made in the USA” and have been manufactured in Van Nuys, California since the company’s inception in 1979. Uninterruptible Power Supplies (UPS) for computers, servers, peripherals, voice and data communication systems, security systems and other mission-critical equipment. For over 30 years, SES has a well established leadership & presence in the Access Control, Telephone Entry, Intrusion Detection and Priority Communications industries. SES is dedicated to research & development of innovative quality products to fulfill customers' applications and provide the best support solution to our clients. For over fifty years, we at Speco Technologies have dedicated ourselves to providing the latest innovations in video surveillance and electronic accessories, as well as the highest quality audio products for residential and commercial use. West Penn Wire (WPW) designs and manufactures wires, cables, harnesses and related products for small, mid-size and Fortune 500 companies worldwide, as well as for higher education, healthcare and government organizations, and houses of worship. WilsonPro commercial cell signal boosters provide reliable, flexible solutions for large buildings and businesses experiencing poor cell and data reception. Our high-performance cell signal boosters are designed to deliver the greatest coverage in terms of physical space as well as types of carriers. Yale Locks & Hardware has provided dependable security since 1840. Yale Locks & Hardware is an ASSA ABLOY Group company with plant operations in Berlin, CT. Our residential hardware includes electronic door locks with leading edge technology integrations as well as high quality mechanical hardware designed to fit any home. Yale Residential electronic products are leading the way in security for the mobile lifestyle. Yuasa is one of the world's largest manufacturers and suppliers of valve regulated, lead acid batteries with global manufacturing plants and an extensive marketing and distribution network throughout the world. A leading manufacturer of quality metallic and non-metallic electrical fittings and connectors, supports; as well as, low voltage, security, and audio/video products. For over 50 years the L.H. Dottie Company has provided quality products & unrivalled customer service to Electrical, Plumbing, HVAC, and Security & Low Voltage professionals. Today, Dottie continues to provide distributors with an extensive range of products and services multiple regions across North America. Products range from Fastening devices, anchors, electrical fittings, petroleum products (tapes, mastic & cutting oil) to tools & specialty items. Many of the tools available today that address the special needs of wire installation were initially developed by LSDI. Over the years, several companies have tried to follow our leadership by offering “me too” products, but our continued success is based upon offering superior design and quality that can only be created by truly understanding the needs of professional installers in the audio/visual, electrical, communications and security-alarm markets. Much of our R&D staff is comprised of experienced installers. We understand the demands of professional installation and we will continue to bring innovative solutions that save installation time and produce better results. Installation is an Art. LSDI is Advancing the Art of Installation™.